THIS MACHINE INJECTS TOURING WITH A HEFTY DOSE OF CUSTOM COOL. One look at the Street Glide™ isn't enough to appreciate its vast beauty. As smooth and refined as a centuries-carved limestone riverbed. 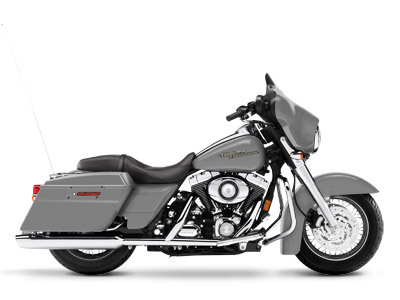 This machine injects touring with a hefty dose of custom cool. A clean front view unencumbered by passing lamps. Mirrors incorporated within the fairing. Integrated LED lights on rear fender ground effects. 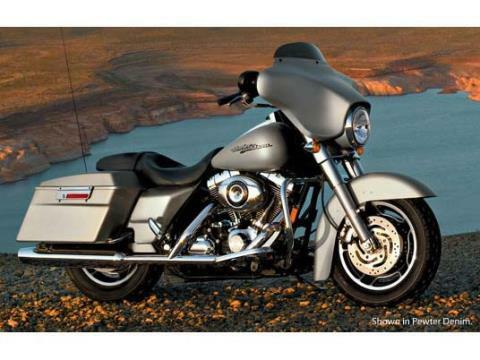 Slammed suspension and clean-cut, color-matched latch hardbags leave nothing for wind to catch on. 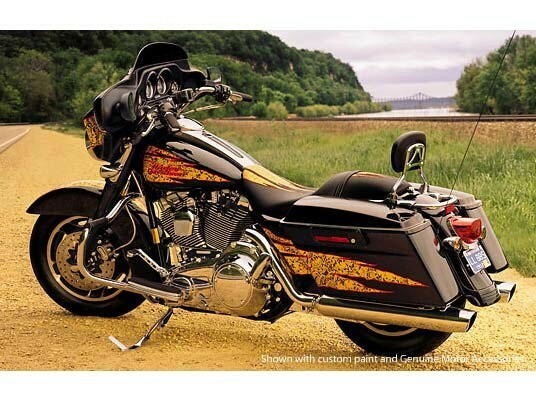 A six-speed, black and chrome new Twin Cam 96™ makes for a low cruising rpm to spread some wings. And a Harman/Kardon® Advanced Audio System to pump out good vibrations as this looker soars.